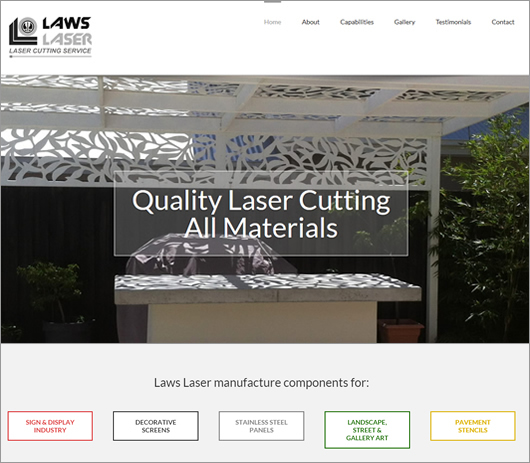 Laws Laser - NEW LASER – HANDLING ALL THE CHALLENGES! projects that would help us to learn more about our new Eurolaser. And we certainly got them! 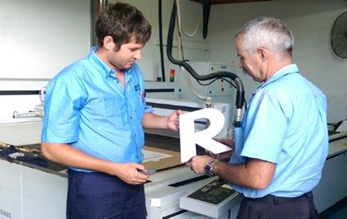 Michael and I are still trying to find out just what the Eurolaser is capable of with combinations of laser cutting, routing and laser etching. And it all worked … Brilliant result from a signage point of view and a sealed display unit that will last a life time! Imagine having to construct that using other technologies, it would be just about impossible to do as a one-off item. 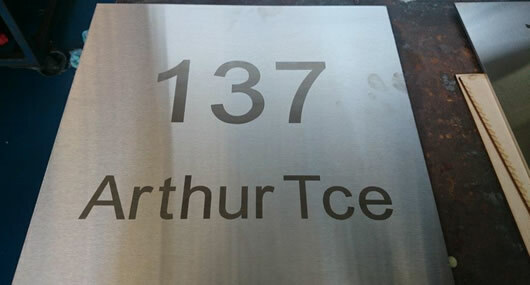 For us a simple design program change and letters or symbols can be laser cut and etched ready for our sign manufacturing customers to add to their displays. 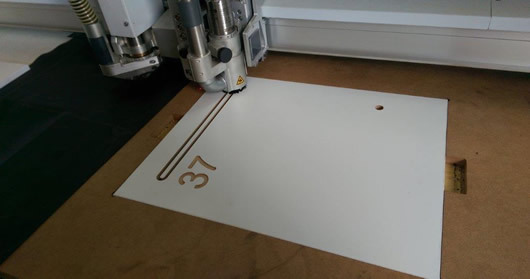 is capable of and images of near print quality are possible. process and will never need to be painted. lasers won’t cut is glass. Etching YES….. Cutting NO! weathers and will never need painting. a serrated edge, just like a coin. post and keyhole are cut right through. different cutting jobs and materials, literally from sheet steel to fabric. maximum sheet size of 3000 x 1500mm. Click here to view our “CAPABILITIES” page. very small to absolutely massive, if it fits on our lasers we can cut it. a current component quicker or better than you can now. Have you looked at our new website yet?. Please feel free to call us at any time, we will be happy to help.